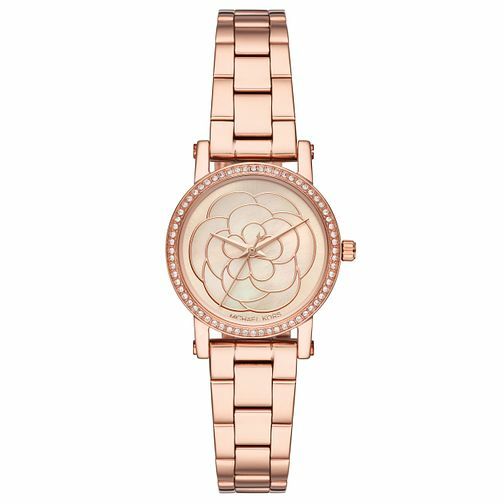 Michael Kors presents a spring-inspired piece from the Petite Norie collection, featuring a gorgeous rose gold tone, sparkling crystal bezel and a floral feature piece dial that gives natural style. Michael Kors Petite Norie Ladies' Rose Gold Tone Watch is rated 5.0 out of 5 by 1. Rated 5 out of 5 by Anonymous from Stunning I bought this watch online, but I didn't expect it'd be as good and beautiful as it is. Great value for money! Highly recommended!